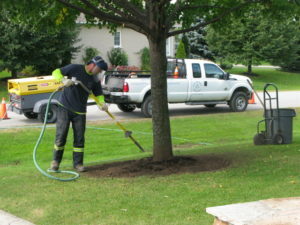 It is not uncommon to find soil or mulch levels that are too high on the trunk of a tree or to find trees that are planted too deep. 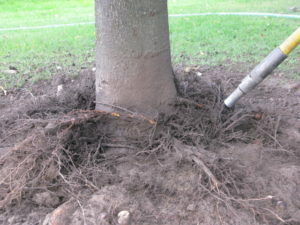 These conditions can be very detrimental for trees as they can promote girdling (strangling) roots, vascular rot in the trunk and oxygen deprivation to roots. 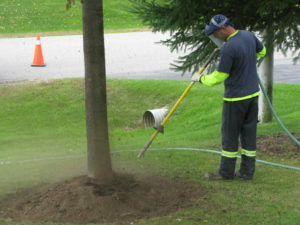 By performing a root crown examination using an air spade tool we are able to mitigate the condition that is compromising the health of your plant.